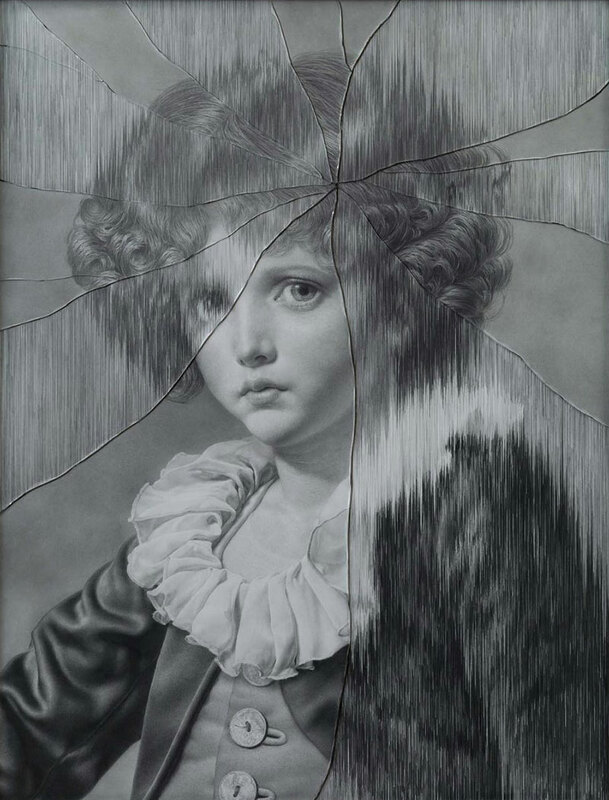 An ongoing series of drawings overlaid with a pane of cracked glass by Japanese artist Taisuke Mohri. 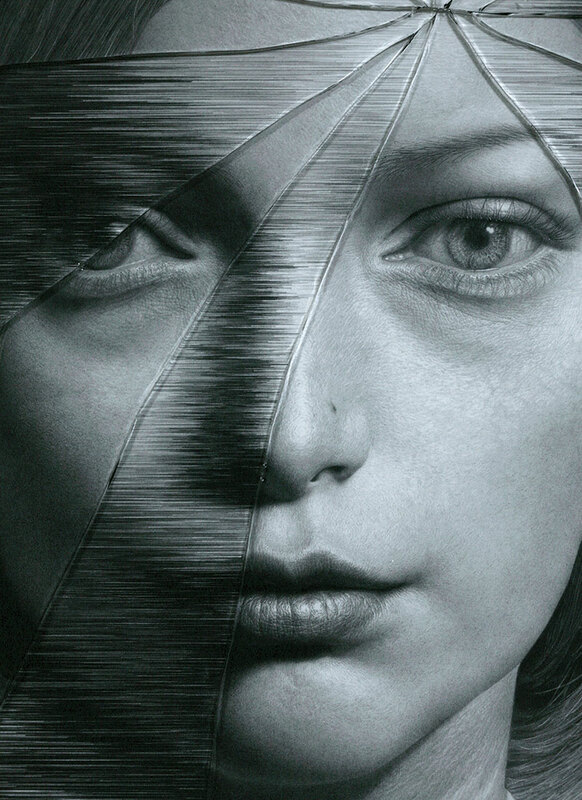 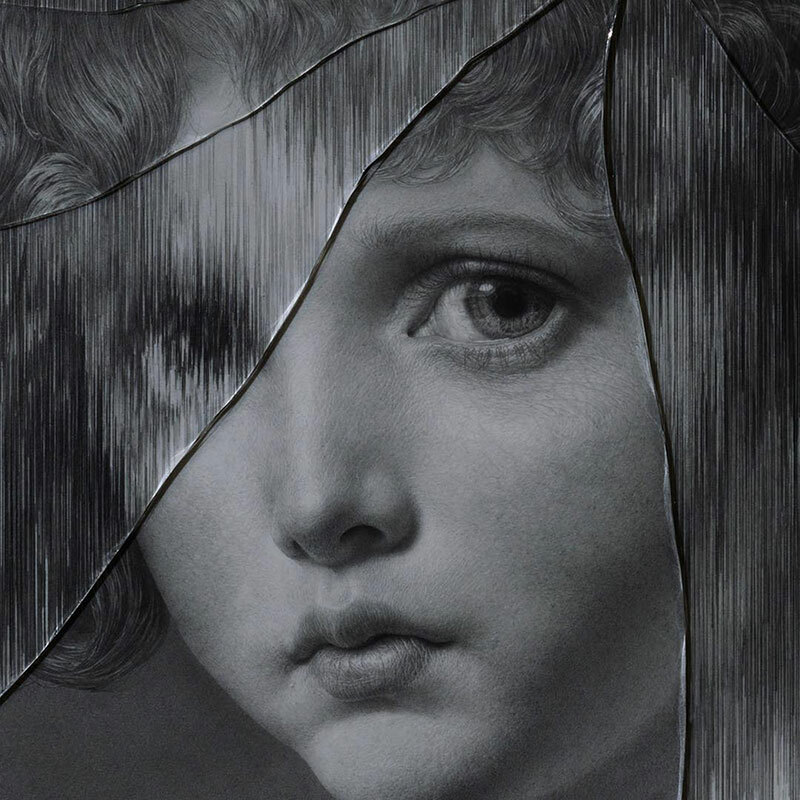 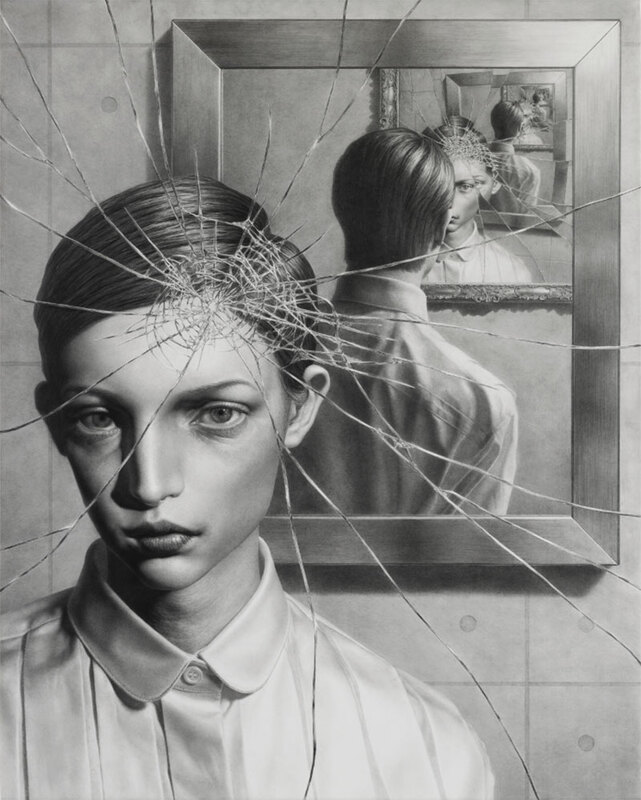 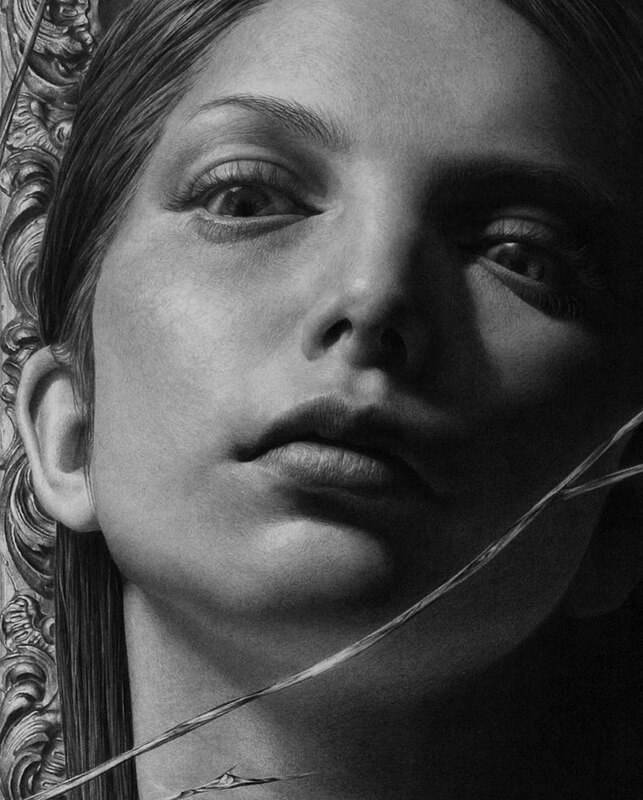 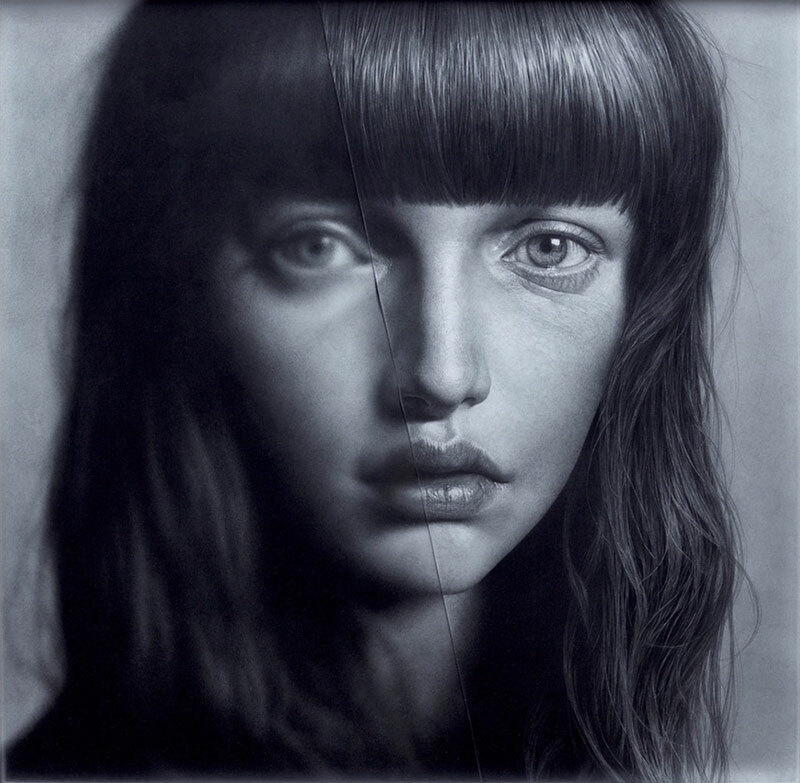 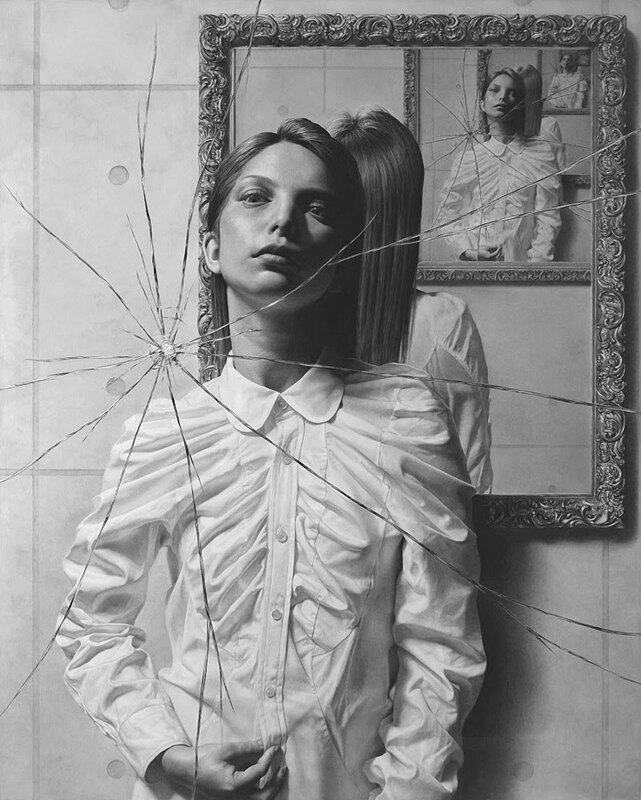 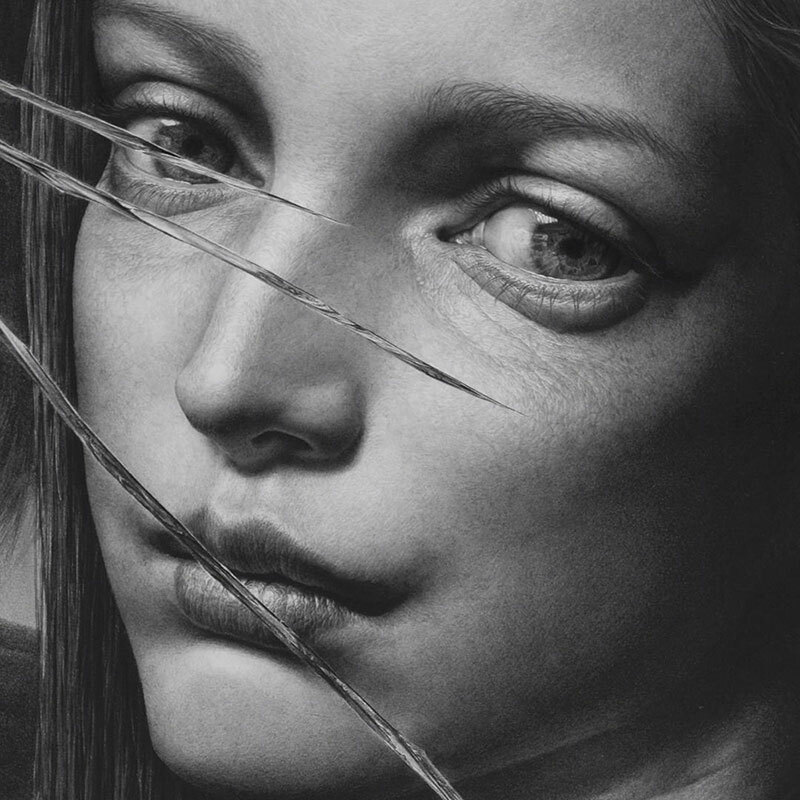 The hyperrealistic works errs on the edge of surrealism with the portraits disrupted by veins of fractured glass, reminiscent of a face behind a window on a rainy day, and accented by smudges. 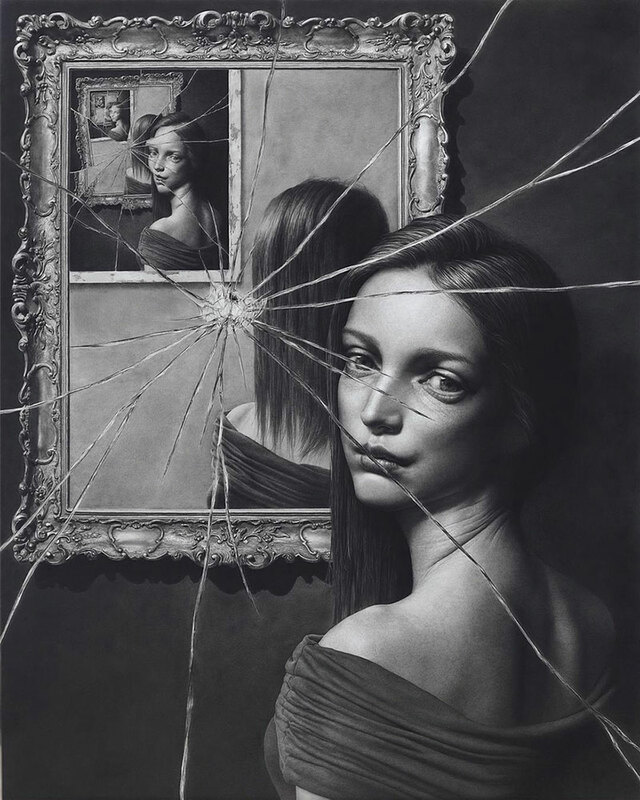 In some drawings, the figure stands in front of mirror and their reflection appears to be gazing at itself, while the image it sees is projected in the mirror on the opposite wall, an illusion meant to confuse the viewer into perceiving what is real and imagined. 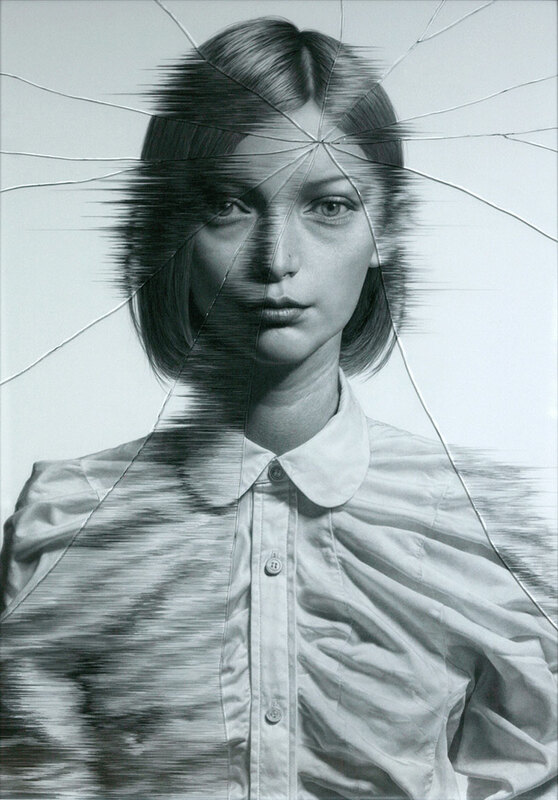 An ongoing series of drawings overlaid with a pane of cracked glass by Japanese artist Taisuke Mohri.